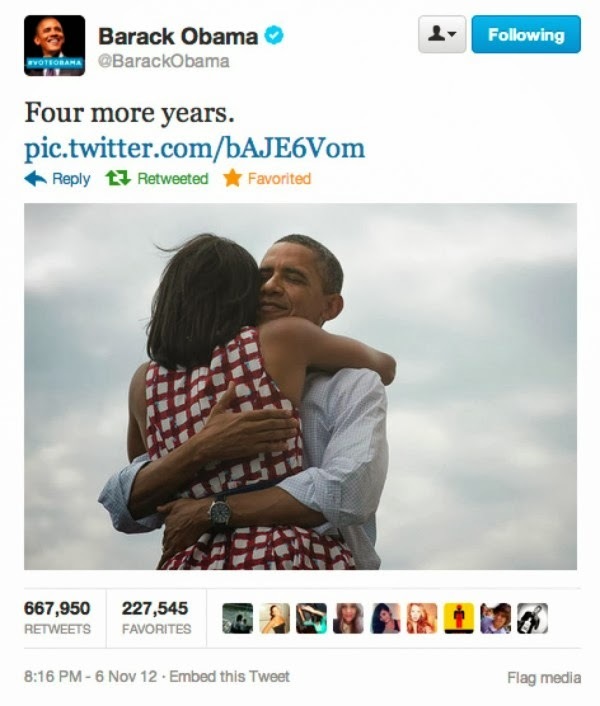 Today, with an astounding 1.7 million retweets in less than an hour, this is a record-breaking tweet! It broke the record of the other one I am adding below it. Daily Mail titles the story as "The epic selfie that broke Twitter: Ellen DeGeneres's snap with Jennifer Lawrence, Bradley Cooper and Meryl Streep gets retweeted by millions".